Hooky does it again! This is absolutely stunning news for Joy Division fans – “the bassist said he is negotiating with Adamson, with the hope of eventually releasing a set of Joy Division alternate mixes and outtakes“. Wow. 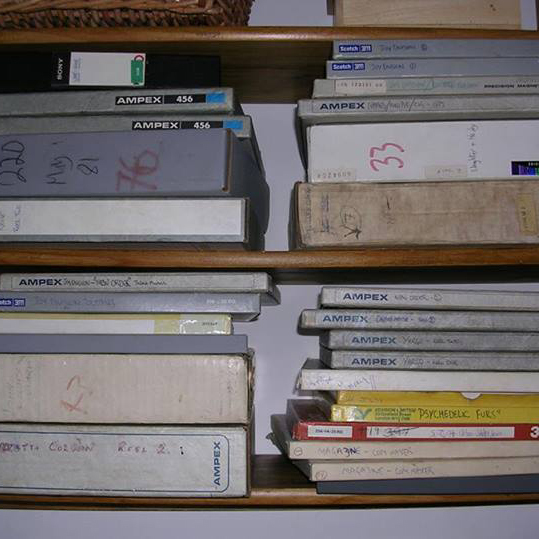 Former Joy Division and New Order bassist Peter Hook is in talks to buy a cache of his bands’ old master tapes rescued from the trash by a former studio assistant. Earlier this month, Julia Adamson (a former member of the Fall and assistant to producer Martin Hannett) said she was looking to sell the tapes, which include a master copy of Joy Division’s Unknown Pleasures. Where Does ‘Unknown Pleasures’ Rank on Our Greatest Debut Albums List? Though Adamson said she attempted to contact musicians from the bands on the tapes, Hook said he never heard from her. “There is no way on Earth that I, renowned collector of all things Joy Division and New Order, would have not been interested,” he said. Hook also claims the tapes are the legal property of the band members. via Peter Hook Has Plan for Rescued Joy Division, New Order Tapes | Music News | Rolling Stone.